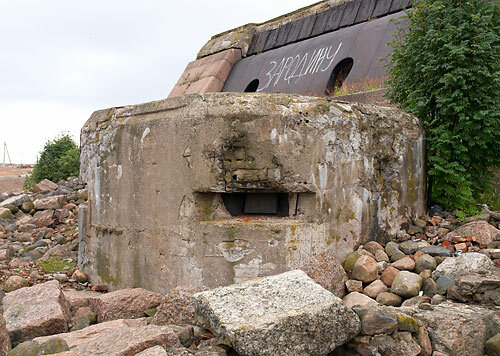 Machine gun pillbox of WW2 era is in front of the Swede battery. It was built in 1934-35 and was part of Kronstadt Fortified Sector. It's embrasures has armour flaps and old metal stove preserves inside of it. 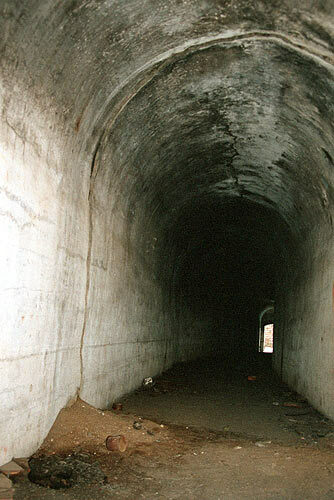 On the right wall German shell's hole could be seen.